How to ditch Traditional colors on your wedding day? 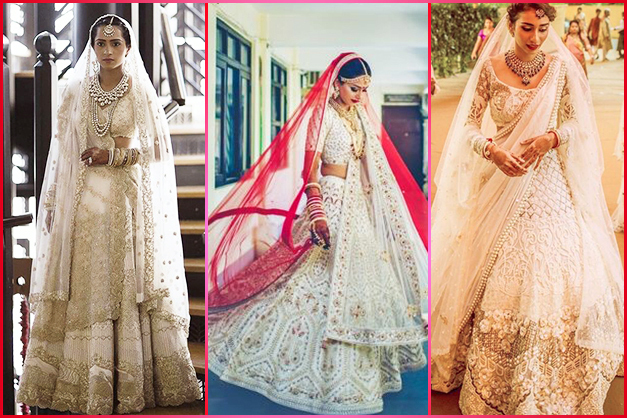 In the past, Indian brides had very limited options while picking up the colors for their wedding dresses. But, not anymore! 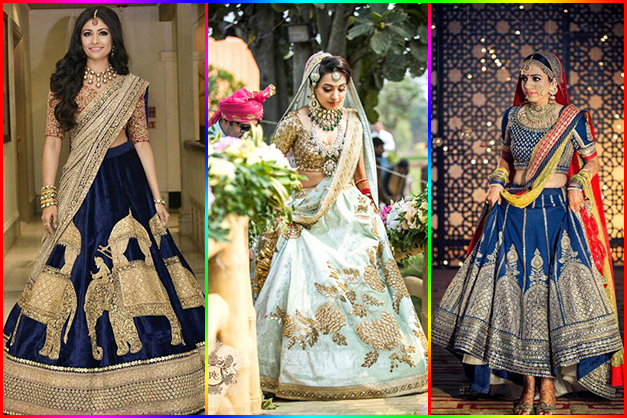 Thanks to the evolution of the trends in Indian wedding wear, the soon-to-be married brides now have a lot of exciting and different colors to choose from. So, for all you brides-to-be, here are some of the hottest non-traditional colors of this year that you can pick for your wedding dress. With an aura of royalty, magic, and mystery, the color blue when used in your wedding trousseau will add an element of absolute elegance in your personality. From deep blue shades like aqua and powder blue to the lighter shades, you have a large variety at your disposal. If you are planning a day wedding, then champagne can be a beautiful non-traditional color to include in your wedding trousseau. It is a classy and elegant option, which makes it perfect for creating an understated yet sophisticated look on the wedding day. Adorning white color at weddings is still considered as a taboo that fogs some minds. But now, as the time has changed, the brides have started opting for this color for their weddings or other ceremonies. This color can be tried as pearl white, ivory and off-white. Just choose the right jewelry and make-up right to make this color hit at your wedding. Peach is a soft hue that would look good on almost all skin tones. 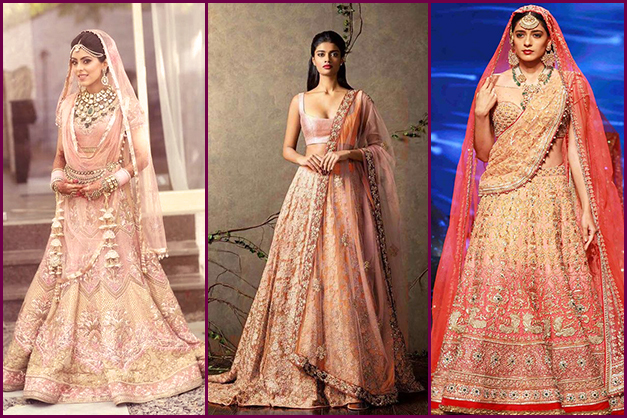 A bride donning a dreamy peach colored lehenga will surely look like a princess on her wedding. So, one can try this color without any second thoughts. 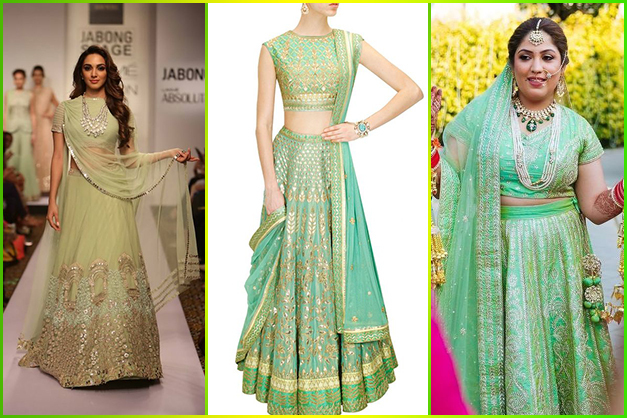 The color green has always been a part of the wedding attire. 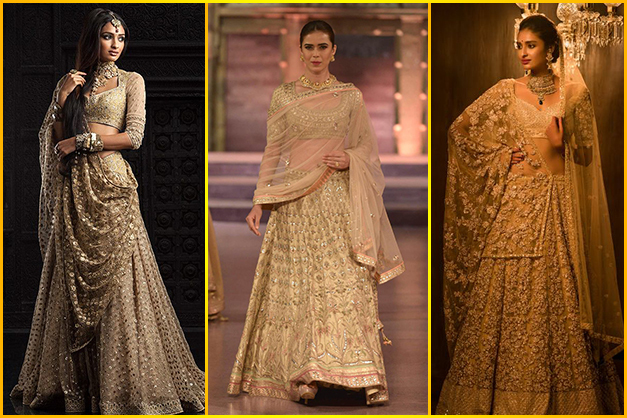 But, now brides are trying various lighter shades when it comes to their bridal lehengas. It is a very lively color that will surely make you a stunning bride. So, now you brides have various other options for your wedding outfit. Just pick your favorite style in any of these trending shades to look nothing but the best on all your wedding functions.